Redd's Releases Limited Flavor - Cranberry Ale! My husband and I are huge fans of Redd's Apple Ale so when we were notified about their new limited flavor, Cranberry Ale, a beer that boasts a tart cranberry taste combined with crisp apple notes, we were really excited to try it! Plus, they will be releasing several other unique twists throughout the year and each of the Limited Pick flavors adds a unique twist to the signature crisp apple taste fans love. The next release in the series will be Redd’s Blueberry Ale in April, followed by Redd’s Ginger Apple Ale in September. Like the original Apple Ale, the Limited Pick flavors are five percent alcohol by volume, each adding a unique twist to the signature crisp apple taste Redd’s is known for. We got to try the Cranberry Ale flavor and it really is tart and full of flavor! I might even like it more than the original Apple Ale flavor and that is hard to beat! I really liked the tangy bite and I definitely enjoyed drinking it! :) We will definitely be stocking up on this limited flavor while it lasts! 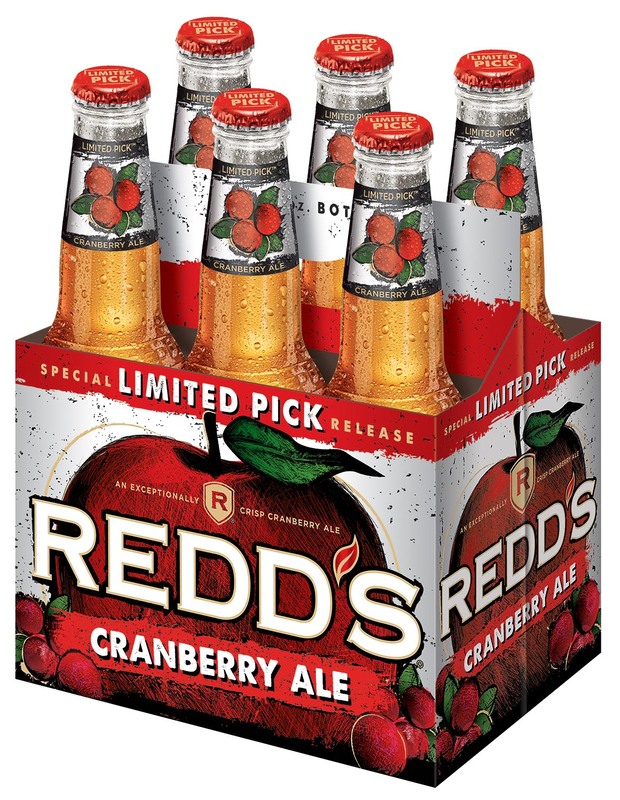 You can purchase Redd's Limited Pick flavors nationwide at most grocery and convenience stores in 6-pack 12 oz. bottles and 16-ounce cans and in the Variety Pack. All beers will be available for a limited time only while supplies last.